Graham Nock was director and chairman of long-standing family enterprise and Australian hardware retailing institution, Nock & Kirby. As you’d imagine, his soon-to-be-published memoirs are brimming with business insights and retailing history, as well as anecdotes from his favourite past-time: sailing. We are privileged to have been given Graham’s permission to print some selected excerpts. Three notable themes are: Graham’s focus on charity work – giving back to the community; the importance of relationships; and on education and innovative thinking in business. 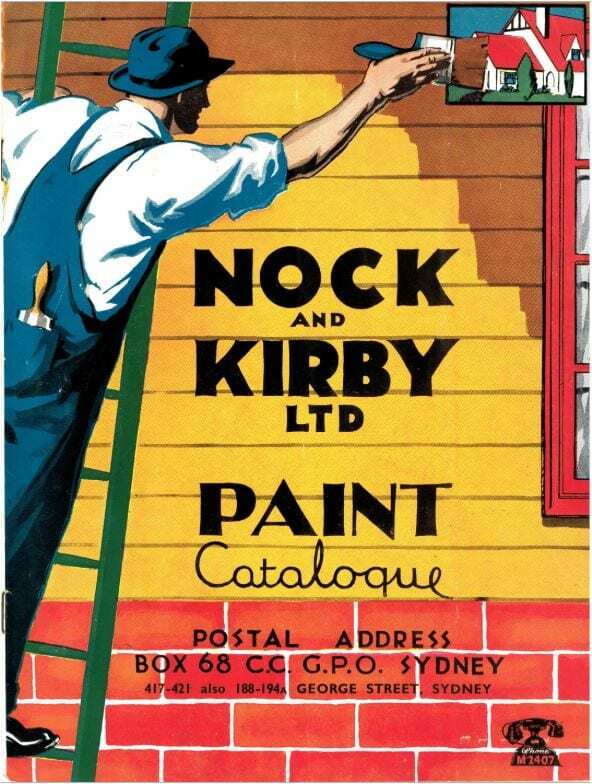 Nock & Kirby began as a partnership between Graham’s grandfather Thomas Nock and Herbert Kirby in Sydney, in 1894 and became one of Australia’s most recognised hardware brands. 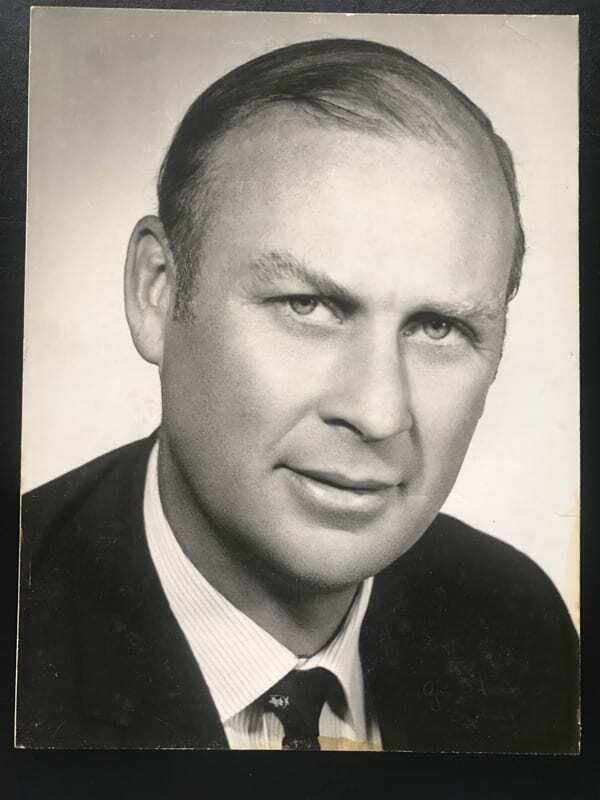 Graham was born in Sydney in 1928, the son of Sir Norman Nock, later Lord Mayor of Sydney, and after school he continued his studies at the Babson Institute of Business Administration in Boston, USA, graduating with a Bachelor of Science. He joined his father in the family’s well-known hardware store in 1950, eventually becoming Chairman of Directors. He has been a director or chairman of many companies including Carrier Air-Conditioning, the AMP Society, Rheem Australia, Southcorp, Touraust Corporation, Emerging Markets Co, and Development Capital of Australia Ltd. He was President of the Australian Retail Traders’ Association from 1978 to 1981, and was the non-executive Chairman of the Board of Hedge Funds Ltd (HFL). Graham inherited his life-long love of sailing from his father and is a champion yachtsman. In the early seventies, Nicholas Shehadie sailed with Graham in the Sydney-Hobart, on his much-loved Cole 43 “Rum Runner”. The boat had some challenges staying upright, allegedly converting Nick into a permanently dedicated land-lover. Graham’s fondest sailing memory is winning three consecutive Hood 23 championships on Sydney Harbour. One of his most successful yachts was a 7-Metre class yacht called “Alyth” which he enjoyed racing for many years. He also raced boats internationally, especially in one memorable event, sailing over two thousand kilometres from California to Hawaii. Premiering in the mid-fifties and running until 1979, the Sunday morning Nock & Kirby promotional TV show featuring the famous “Joe The Gadget Man” became very popular, especially with the weekend handyman, consolidating the brand name’s already high level of recognition and awareness. I had many overseas training episodes, the most memorable was as a trainee manager at the Emporium-Capwell Company in San Francisco. In those days the Emporium was the largest and best known department store in San Fran, and held its own with other west coast stores like Macy’s in San Fran and LA. I was with the Emporium for almost four months going through the practical work, as well as studying the management of this successful retailer. Luckily for me the company was expanding into the suburbs of San Francisco and I was given a job in helping set up their new state-of-the-art Stones Town Store. I must have impressed management because they offered me a manager’s job at Stones Town. It was tempting but Australia was always calling. When I look at Sydney, especially in that period when I was growing up, shops like Mark Foys, Marcus Clarke, Anthony Horderns, Hordern Bros, McCathies, Grace Bros, Farmers, Nock & Kirby, F.J.Palmers, Waltons, McDowells, Beard Watsons – they were all supplying the Sydney populace with world-class goods and services, and now long gone. Of course they have been replaced by other, mostly successful businesses which have adapted to new technology and retail techniques, and have been able to adapt more quickly and efficiently to consumers’ demands. We’re currently in the “superstore” era pioneered by the supermarkets but their model has been adapted to other ranges of merchandise including hardware and most consumer requirements. Because of the enormous growth of the internet there’s been a resurgence in the (mail order) internet shopping, especially as consumers can easily order the goods from all over the world. I joined Nock & Kirby Ltd in the position of sales manager which controlled the advertising and general promotion of the company and its products. I really enjoyed the challenge of selling tools and hardware, furniture and appliances in the fifties and sixties, a most interesting and exciting retail environment. I was able to convince my management colleague that “open selling” using central cashiers and packaging up set amounts of items like screws, nails, washers, nuts and bolts would increase sales and reduce labour costs compared to the old counter system where goods were on shelves behind the counter and had to be produced on request. I am prepared to take some credit for pioneering the “open selling” in hardware and other merchandise. We were the first company to put our goods out where people could pick them up to feel, smell and buy. It’s extraordinary to think back to the olds days of counters etc. Imagine weighing a pound or kilo of nails today! In 1950 the hierarchy consisted of a Managing Director, Merchandise Director and a Staff Manager. The goods were split into departments where they were classified by use, so we had about twenty-six departments such as tools, paints, wallpaper, general hardware and kitchenware and so on. Each department had its own manager/buyers. Then there were the other functions such as advertising, staff management, warehouse manager, office manager etc. When I joined the company Garnet Nock my uncle was Managing Director and Les Atkinson was Merchandise Manager. This period was the beginning of the retail expansion into the suburbs: Grace Bros already had two large suburban stores at Parramatta and Bondi Junction. Their Broadway store although very big was in fact in the wrong precinct for retail, which had moved further North especially since the Harbour Bridge had opened. My job as Sales Manager of Nock & Kirby gave me the challenge of moving with the times with advertising and promotion programs and store displays, and the new concept of self-service. The two main costs for retailers were salaries and rent so new techniques were required to reduce expenses but to still encourage consumers to buy. Nock & Kirby led the way in the hardware trade to open selling, and check-out cashiering while still endeavouring to train staff to help customers out on the shop-floor, instead of standing behind the counter. We encouraged them to learn about their merchandise and give customer service. I tried to bring some modern management ideas to the company especially improving communications with management and staff, and setting objectives. Business plans etc. were really not previously part of the culture. The company was very successful using the talents of its buyers and promotional people but it was a day-to-day, week-by-week business in most cases. My father had always been keen on treating the employees as family. Indeed we had many husbands and wives working for us, also some of their adult children. The company even had an internal club: “The Nockum Nuts” which encouraged socialising and undertook worthwhile projects. We had annual picnics where all the staff, management and their families would get together for a fun day, usually at a park venue with kids and adult egg-and-spoon races, and sack races were also a feature. My life has been filled with interesting and exciting activities quite apart from sailing and commerce. I’ve been involved with a number of charities and Not-for-Profit organisations, and many community activities like the City of Sydney Council, Australia Day Council and the Luna Park Trust, and both the Royal Prince Alfred Hospital and my father’s love – The Royal North Shore Hospital. I’ve worked for the Bicentennial Council and helped decorate Sydney for some of the most important landmark celebrations such The Queen’s various visits, Sydney Olympics and millennium celebrations, beautifying Sydney and helping in the city’s decoration for special events. My work for the community and the city have been rewarded firstly in 1975 by becoming an Officer of the British Empire, and later in 1988 with the Order of Australia, two honours of which I am very proud. I’ve spent years working for retail trade organisations. Firstly as a member of the NSW Retail Traders Association Council helping the industry as much as possible. I was President of the Council for many years and also headed the Australian Retailers’ national body. You might say I was following in my father’s footsteps: he was president on at least two occasions, totalling many years. My twenty years on the board of The Smith Family were also very rewarding. The organisation has helped thousands of poor people, and their approach of trying to break the cycle by helping to educate the children of poor families is making a difference. The years I spent on the City of Sydney Council were especially interesting. As a member of the Civic Reform Party we were in the minority, with the Labor Party Alderman in power. When I joined I was fortunate as I got on quite well with many of the Labor councillors, which occasionally gave me the opportunity to have my ideas considered. I joined the Council in 1962 with another accomplished sailor Bill Northam as our leader, alongside Nick Shehadie, Emmet McDermott and Andrew Briger all of whom later became Civic Leaders. Nick and Emmet both became Lord Mayors and Nick was later appointed as a Commissioner when the Council was dismissed by The Askin Government. Unfortunately my business commitments had become very demanding and I did not stand for re-election. Who knows, I may well have followed in my father’s footsteps and become Lord Mayor of Sydney. Instead I filled my life with company boards and other civic activities. My time at Babson College in Boston was especially rewarding. I have retained my friendship with a number of my closest friends from Babson until this day. We also had some great Babson reunions, both in Boston and in San Francisco. These have been long-lasting friendships with my classmates: even thousands of kilometres could not dampen our great relationships.